Your Gateway laptop charger needs to be reliable, durable and exactly matched to your machines requirements. Look no further than laptopchargers.ie to supply exactly what you’re looking for. We supply high quality adapters with exact specifications that will power your laptop in a safe and effective way. Gateway laptops usually require 19 output volts, and the adapter output amps can vary between 3.42, 4.74 and higher. Laptopchargers.ie sells robust chargers with a 12 month warranty, such is the confidence we have in our products. Our Gateway chargers have a neat sleek design and most importantly, the charger’s extension cord is short which reduces the possibility of wear and tear. We at laptopchargers.ie strongly recommend that you purchase a laptop charger with exact specifications rather than a universal adapter. Universal adapters usually prove to be less reliable due to their adjustable power supply. We have recently extended our order cut off time to 5:50PM, a quality of service you won’t find elsewhere with ANY other laptop charger providers. 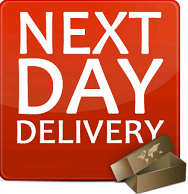 This gives our many happy customers all the flexibility they need to place orders with little concern about delivery time, next day delivery is guaranteed with Laptopchargers.ie! We also stock Acer Laptop Chargers, Advent Laptop Chargers, Apple Laptop Chargers, Asus Laptop Chargers, Compaq Laptop Chargers, Dell Laptop Chargers, E System Laptop Chargers, Emachines Laptop Chargers, Fujitsu Laptop Chargers, Fujitsu-Siemens Laptop Chargers, Gateway Laptop Chargers, Hi-Grade Laptop Chargers, Hitachi Laptop Chargers, HP Laptop Chargers, IBM Laptop Chargers, Lenovo Laptop Chargers, LG Laptop Chargers, Li-Shin Laptop Chargers, Medion Laptop Chargers, MSI Laptop Chargers, NEC Laptop Chargers, Packard Bell Laptop Chargers, Panasonic Laptop Chargers, Philips Laptop Chargers, Rock Laptop Chargers, Samsung Laptop Chargers, Sharp Laptop Chargers, Sony Laptop Chargers, Targa Laptop Chargers, and Toshiba Laptop Chargers.